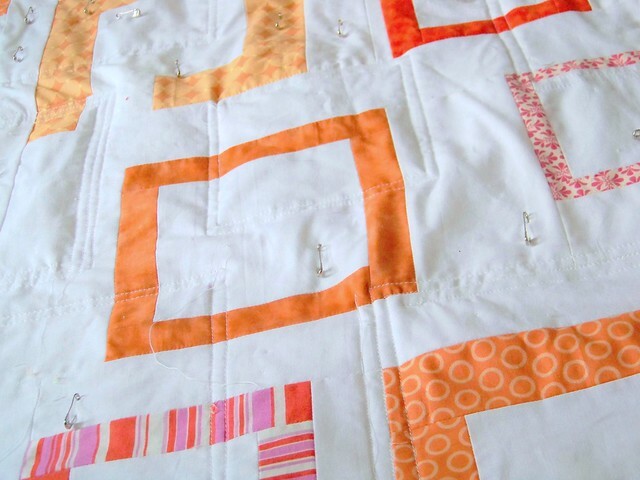 I got this quilt ready for quilting, a week or so ago, then got stalled trying to decide how exactly to quilt it. 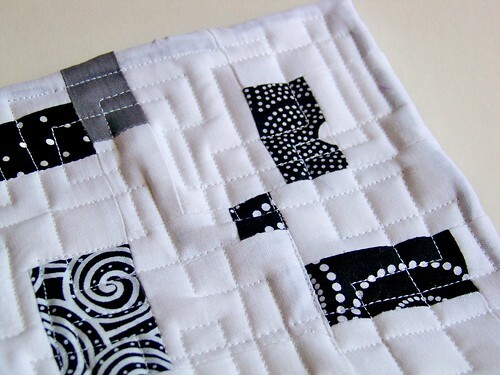 I decided on randomly placed squares: plop a square ruler down more or less randomly, trace it with a fabric marker, and sew two (or three, if I feel ambitious) rows around it — repeat until sufficiently quilted. 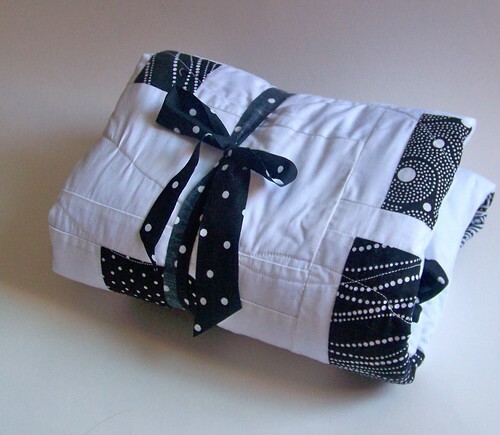 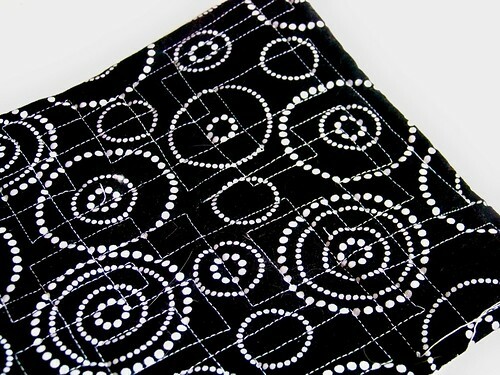 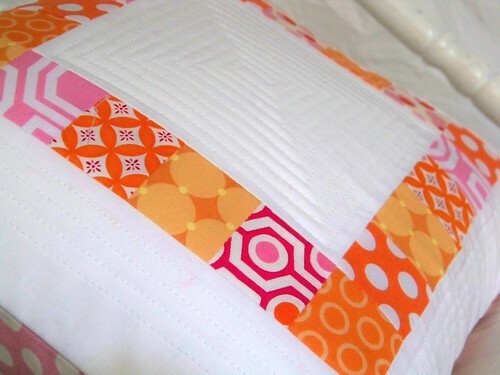 When I made this little pillow I didn’t have to think long to decide on the quilting pattern. 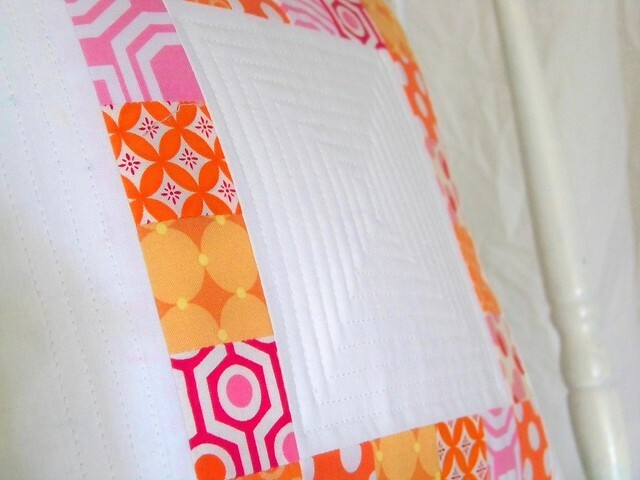 This little squared off spiral is probably my favorite technique, especially for small projects that turn easily. 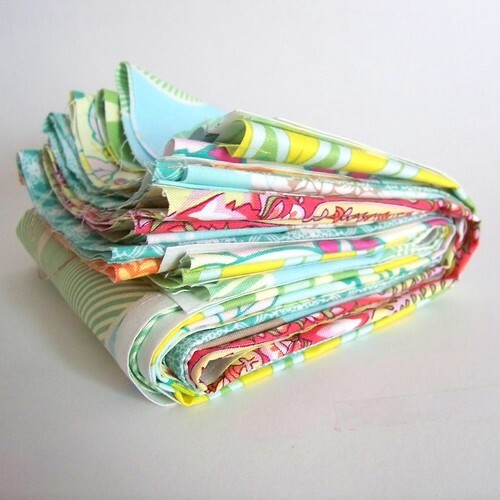 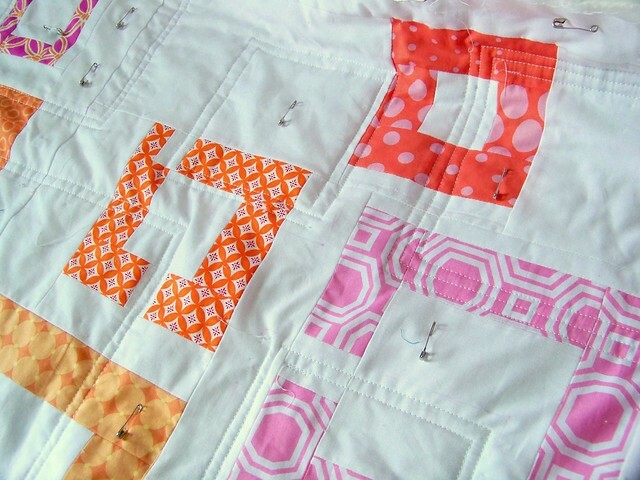 Do you have fall back quilting patterns that you always turn to?